tale of magical transformation from William Steig, the creator of Shrek. 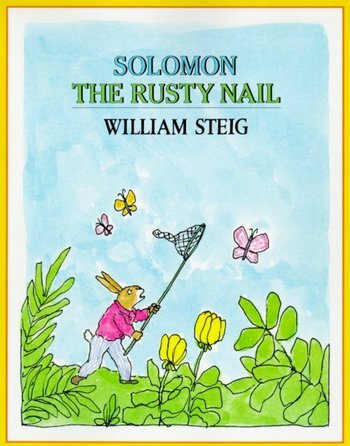 Its hero, young Solomon, is an ordinary rabbit--well, ordinary in every respect but one. Whenever he scratches his nose and wiggles his toes at exactly the same time, he turns into a rusty nail. To turn back into a rabbit, all he has to do is think: "I'm no nail, I'm a rabbit!" 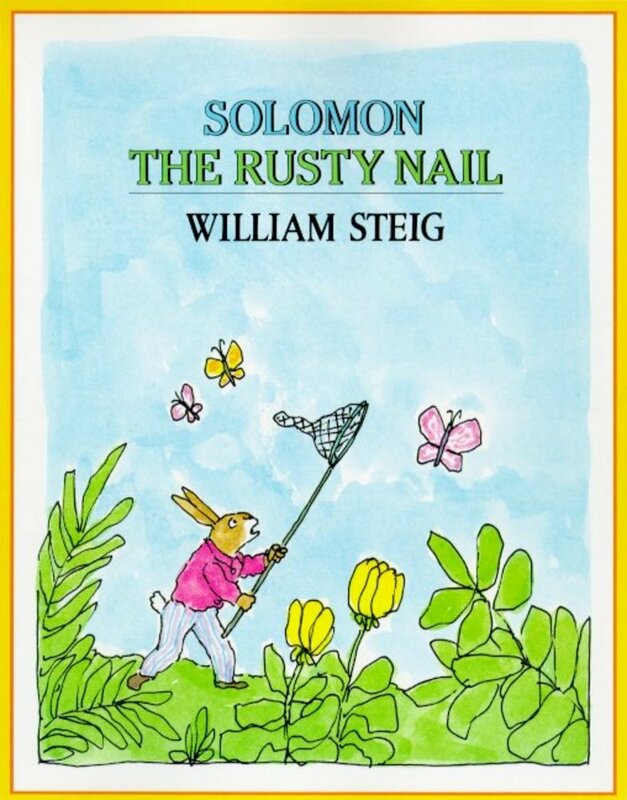 This unusual talent enables Solomon to play some gratifying practical jokes, but it also leads to serious trouble when he's waylaid by a one-eyed cat who plans to turn him into Hasenpfeffer. Solomon promptly becomes a rusty nail and steadfastly refuses to change back, even after Ambrose, the cat, and his wife, Clorinda, lock him up in a cage in their guest room. Sooner or later, they figure, they'll be dining no bunny stew. How can Solomon possibly find a way out of this dilemma?